Lead the way in spending and production Half of world’s publicly traded mining companies Canada’s biggest gold mine Ontario’s mineral production in 2012 was 9.2 billion. 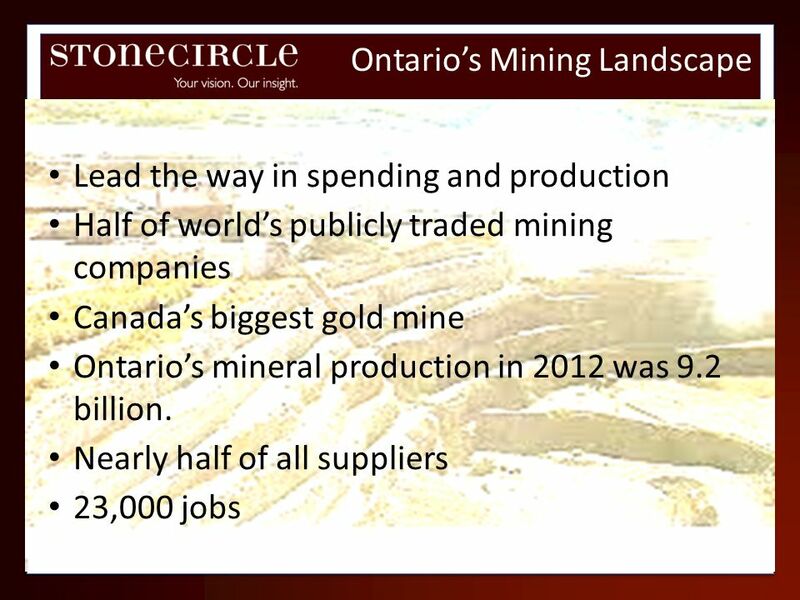 Nearly half of all suppliers 23,000 jobs Exploration spending and mineral production is highest in Ontario. TSX/TSX-V list ½ of worlds public mining companies. Detour gold (Cochrane) is Canada’s biggest gold mine. 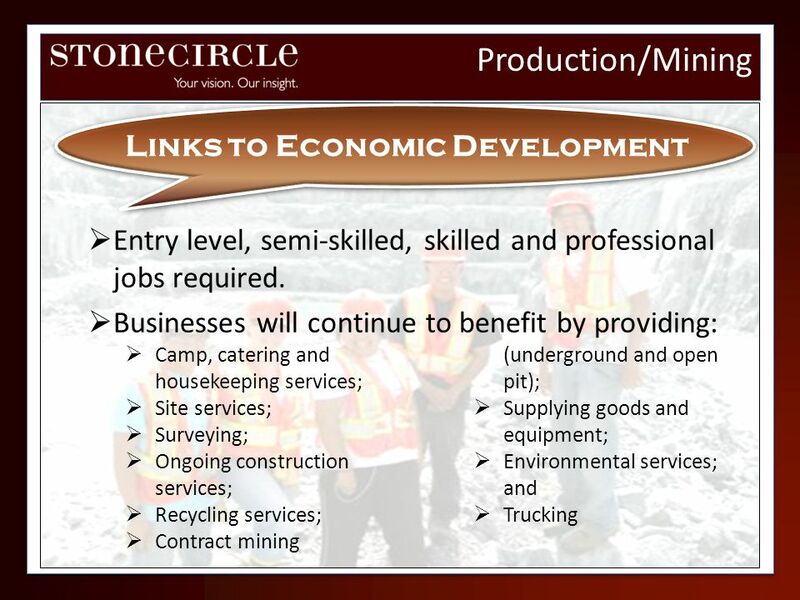 Ontario is home to 45% of the suppliers specialized mining goods and services in Canada. 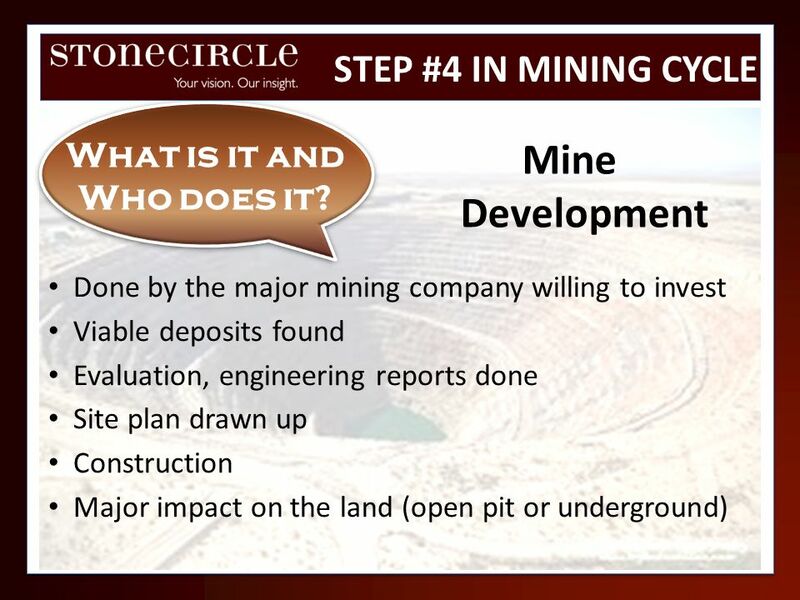 STEP #1 IN MINING CYCLE What is it and Who does it? 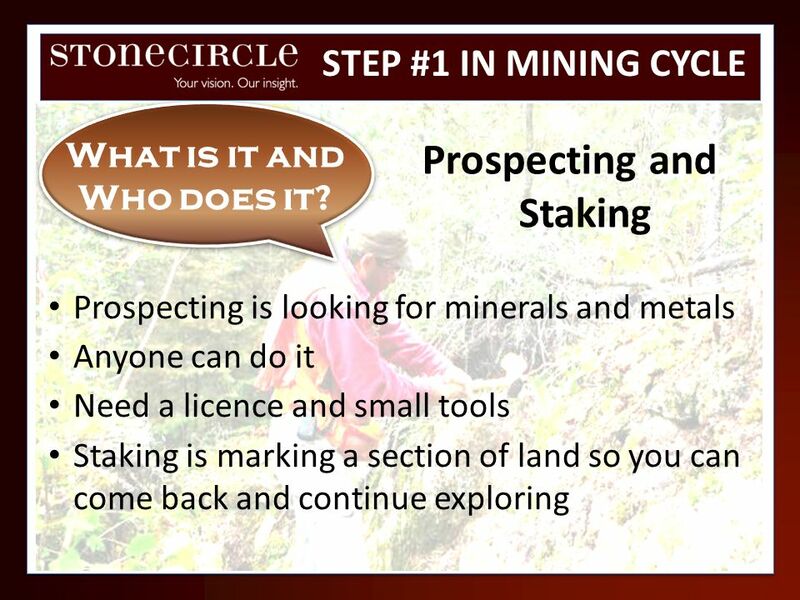 Prospecting and Staking Prospecting is looking for minerals and metals Anyone can do it Need a licence and small tools Staking is marking a section of land so you can come back and continue exploring The initial step in the exploration process. Minerals and metals are discovered in this stage. There is minimal potential for any physical impacts on the land. Prospecting begins prior to staking Staking is marking a section of land to claim the sole right to prospect for minerals, if the prospector feels the area is worth further exploration. 11 What is it and Who does it? 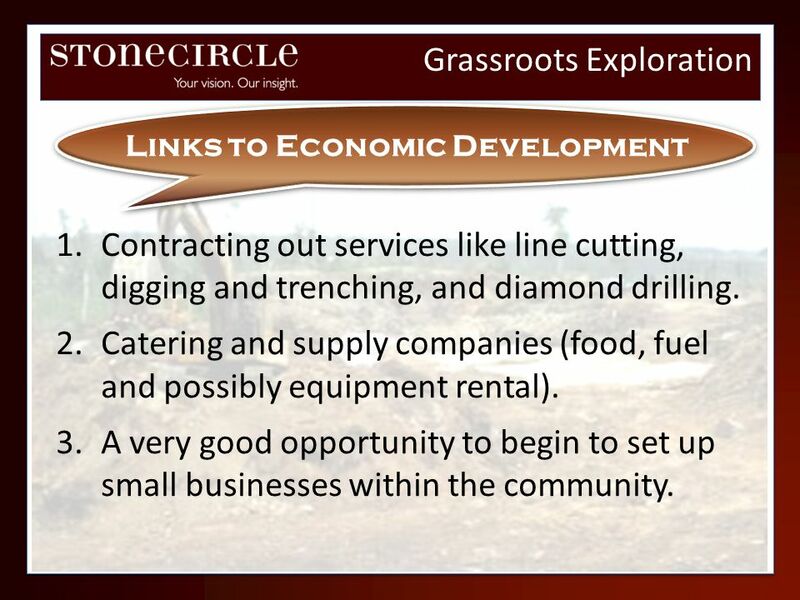 Grassroots Exploration Links to Economic Development Contracting out services like line cutting, digging and trenching, and diamond drilling. Catering and supply companies (food, fuel and possibly equipment rental). A very good opportunity to begin to set up small businesses within the community. 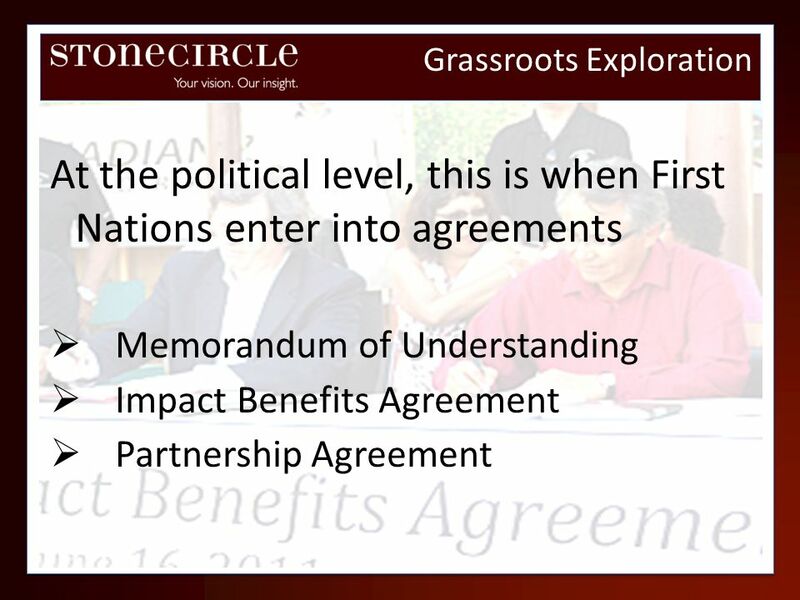 At the political level, this is when First Nations enter into agreements Memorandum of Understanding Impact Benefits Agreement Partnership Agreement Memorandum of Understanding (MOU) - signed early in the process and determines how parties move forward. Impact Benefits Agreement (IBA) – Recognizes treaty rights, compensates for negative impacts, stipulates for employment and training, business opportunities, environmental protection and financial considerations. Partnership Agreements (PA) – Beyond an IBA, First Nation has a stake in the company through partnership or incorporated company. The community then has a say in finances, employment and contracting. 15 What is it and Who does it? 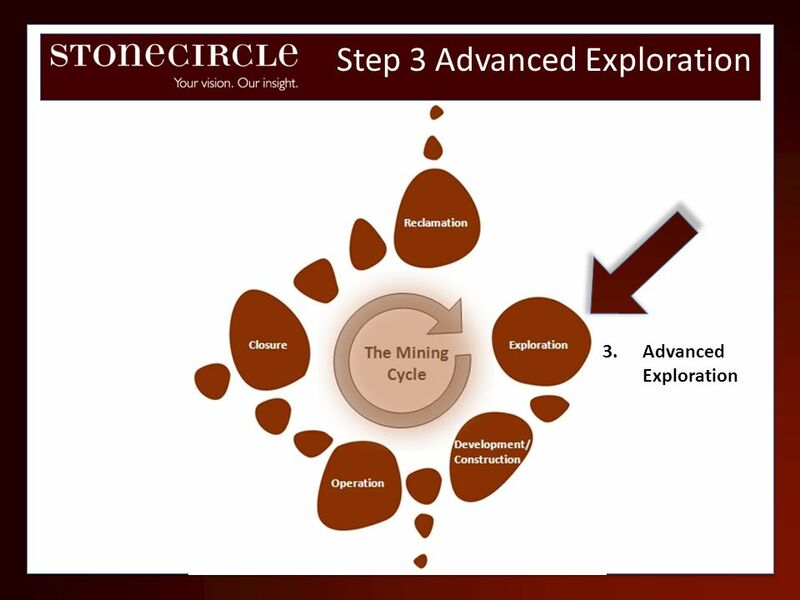 STEP #3 IN MINING CYCLE Advanced Exploration What is it and Who does it? 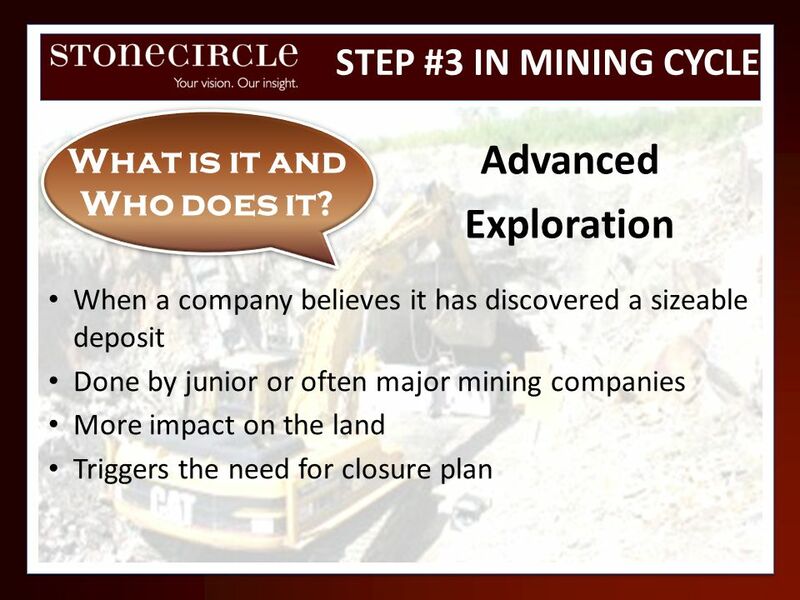 When a company believes it has discovered a sizeable deposit Done by junior or often major mining companies More impact on the land Triggers the need for closure plan Activities at this stage involve a higher impact on the environment (includes underground exploration, larger bulk samples and stripping). 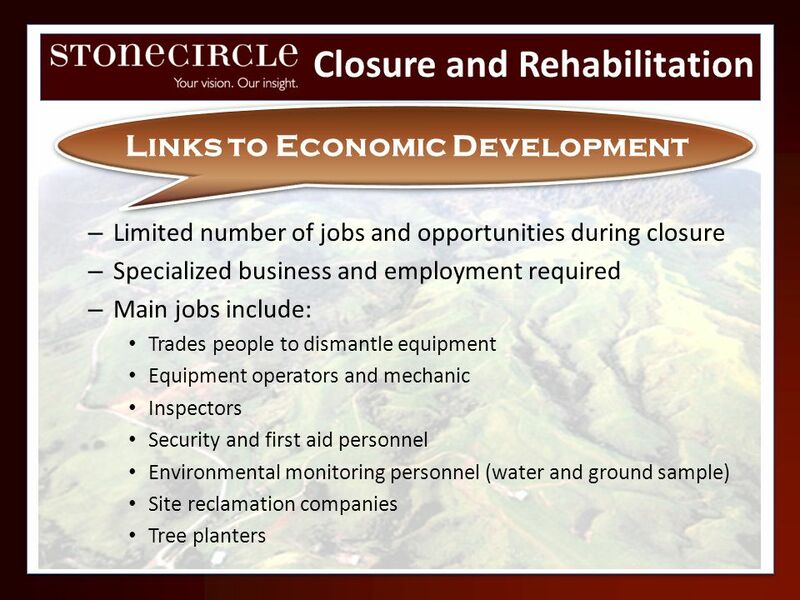 This triggers the need for a closure plan and financial assurances that the land will be rehabilitated once complete. 18 What is it and Who does it? 22 What is it and Who does it? 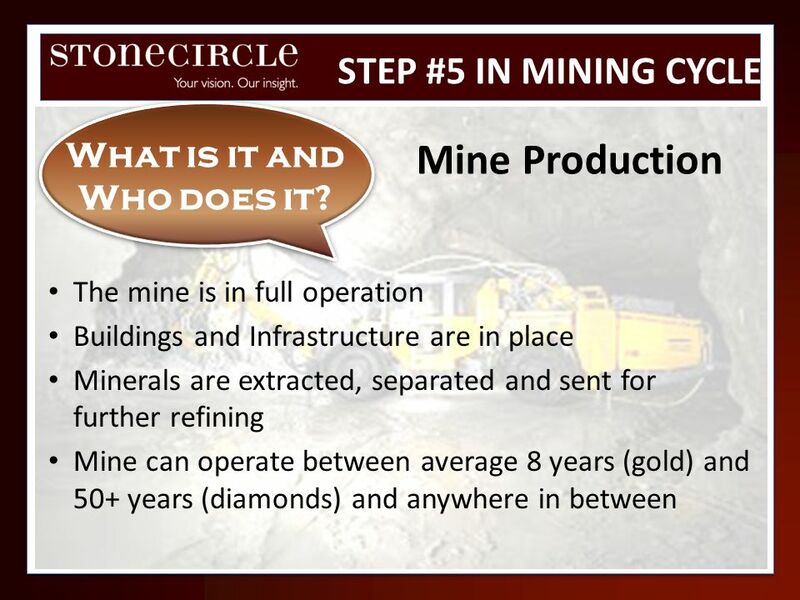 STEP #6 &7 IN MINING CYCLE What is it and Who does it? 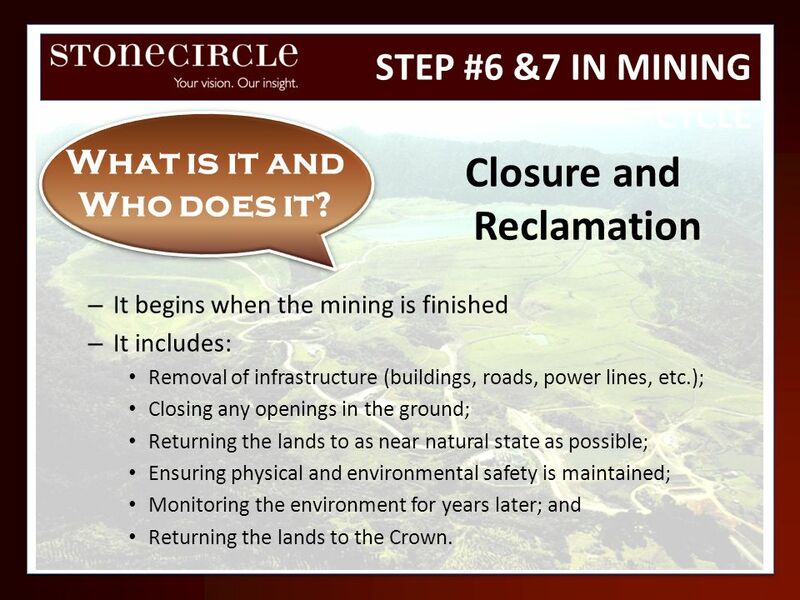 Closure and Reclamation It begins when the mining is finished It includes: Removal of infrastructure (buildings, roads, power lines, etc. ); Closing any openings in the ground; Returning the lands to as near natural state as possible; Ensuring physical and environmental safety is maintained; Monitoring the environment for years later; and Returning the lands to the Crown. 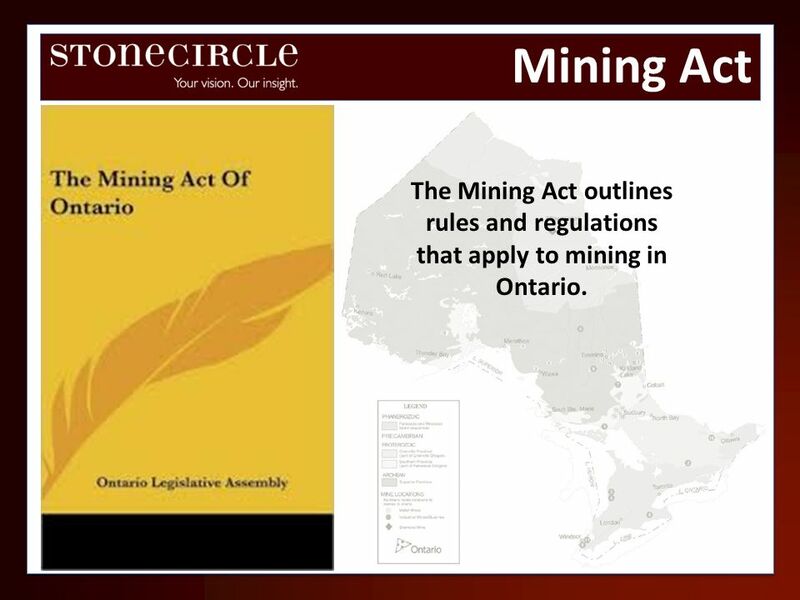 29 Mining Act The Mining Act outlines rules and regulations that apply to mining in Ontario. 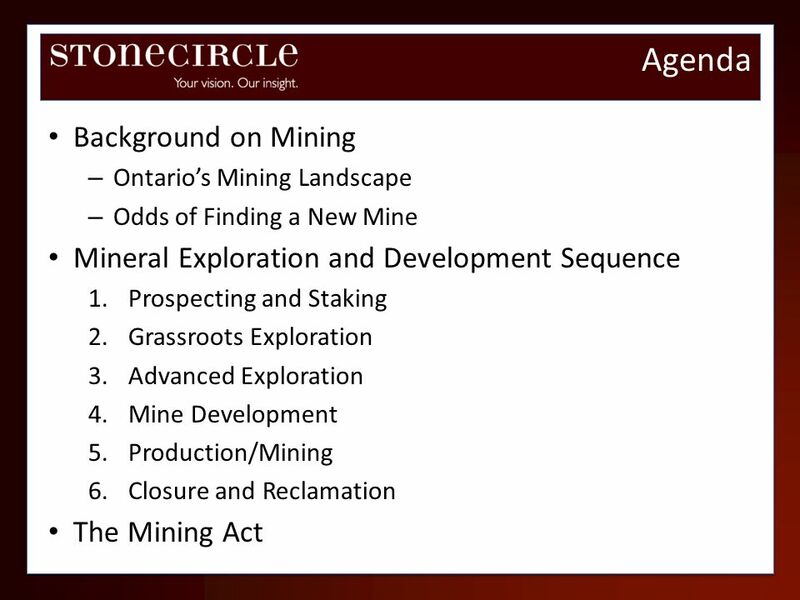 New Provisions in Mining Act Former Ontario Mining Act New Ontario Mining Act Apply for a prospector’s licence. Complete the MNDM online educational program before applying for a licence. Lands could be withdrawn from claims staking (i.e. protected), but this would be at the discretion of the government (i.e. no legislative or regulatory requirements). Lands that are sites of ‘Aboriginal cultural significance’ can be protected from claim staking by a government Order in Council. Exploration Plans needed at grassroots exploration stage. No permits required to conduct early exploration activities. 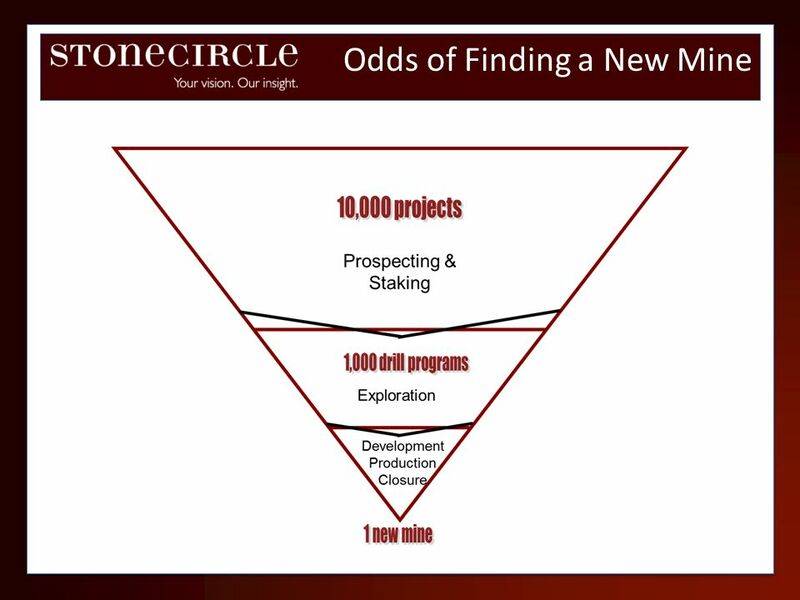 Exploration Plans or Permits are now needed to conduct early exploration activities. 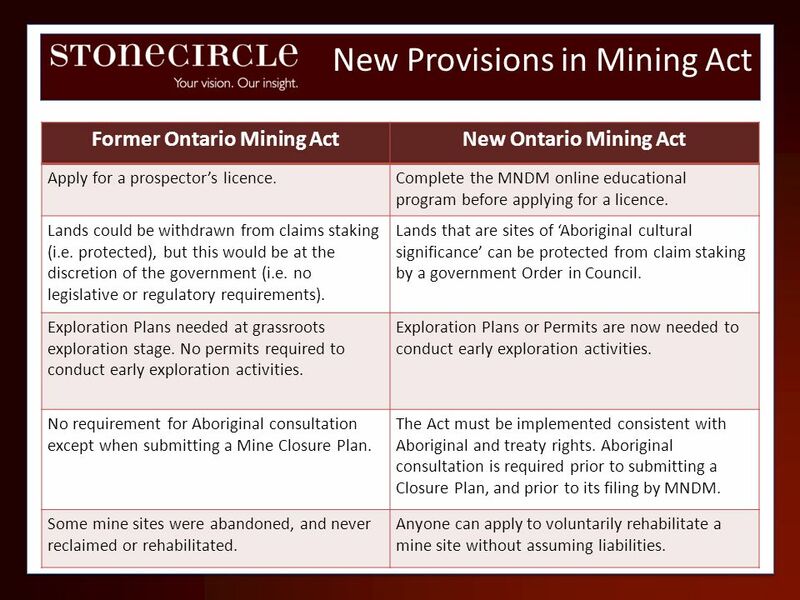 No requirement for Aboriginal consultation except when submitting a Mine Closure Plan. The Act must be implemented consistent with Aboriginal and treaty rights. 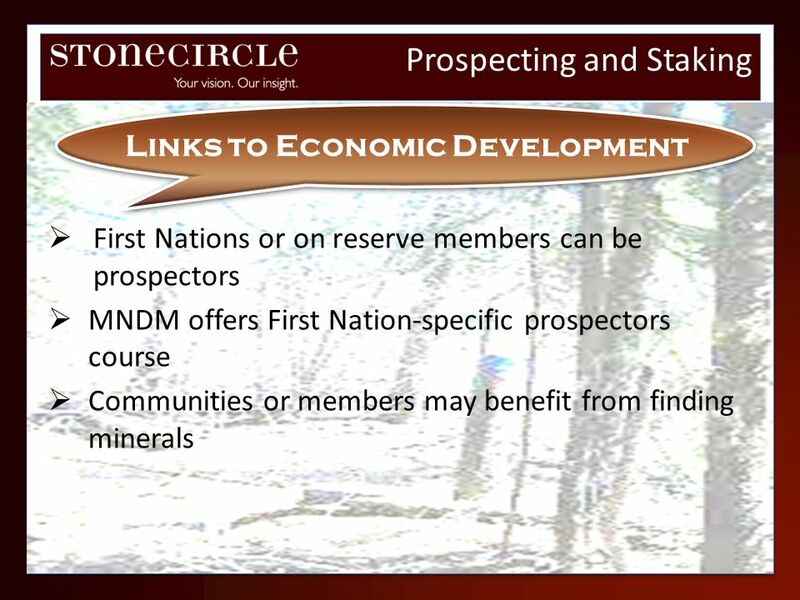 Aboriginal consultation is required prior to submitting a Closure Plan, and prior to its filing by MNDM. 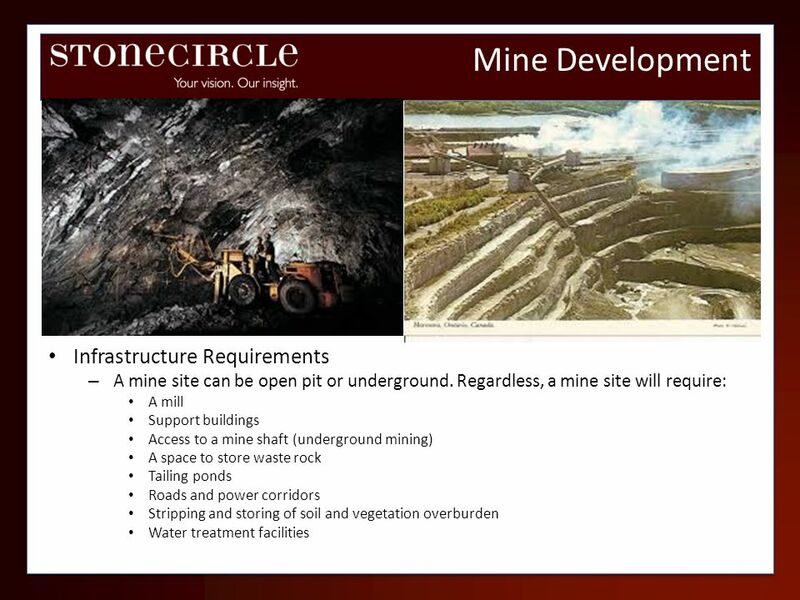 Some mine sites were abandoned, and never reclaimed or rehabilitated. 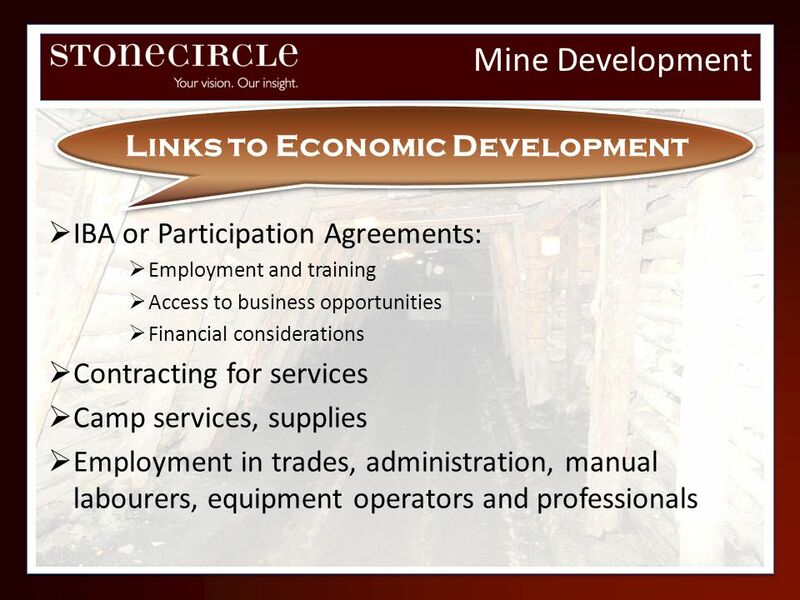 Anyone can apply to voluntarily rehabilitate a mine site without assuming liabilities. New Provisions in Mining Act Former Ontario Mining Act Changes to the Act Prospectors must stake their claim and register it with the Ontario government. Prospectors must stake their claim and register it with the Ontario government and also include GPS data on the location of the claim. 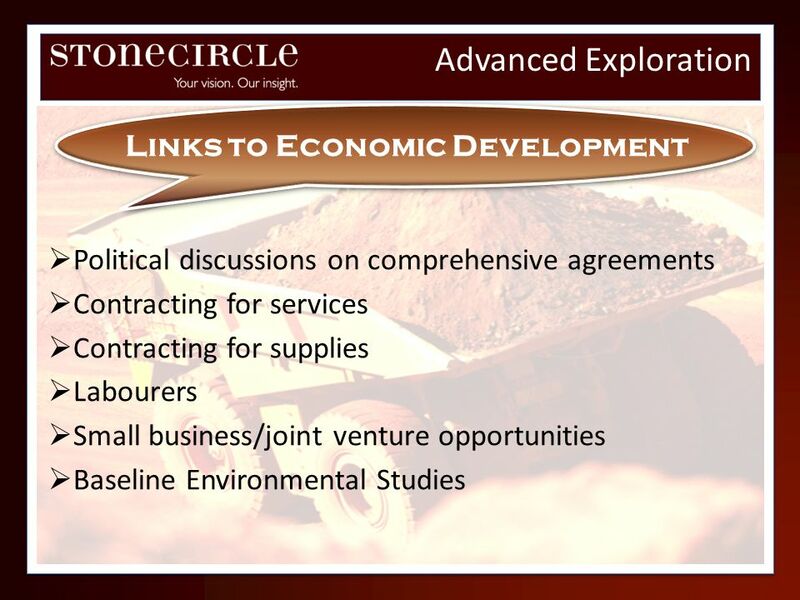 Mining companies paid expenses related to Aboriginal consultations as it was not included in assessment work/costs. 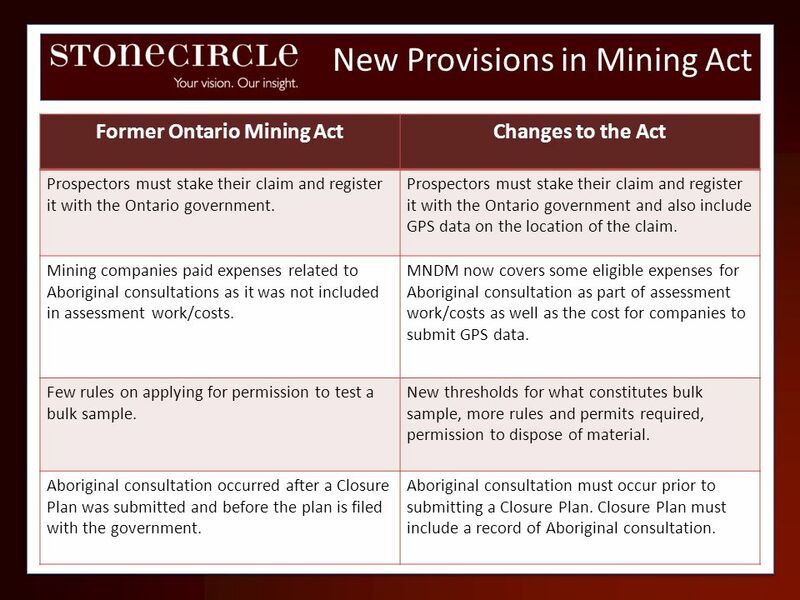 MNDM now covers some eligible expenses for Aboriginal consultation as part of assessment work/costs as well as the cost for companies to submit GPS data. Few rules on applying for permission to test a bulk sample. New thresholds for what constitutes bulk sample, more rules and permits required, permission to dispose of material. Aboriginal consultation occurred after a Closure Plan was submitted and before the plan is filed with the government. 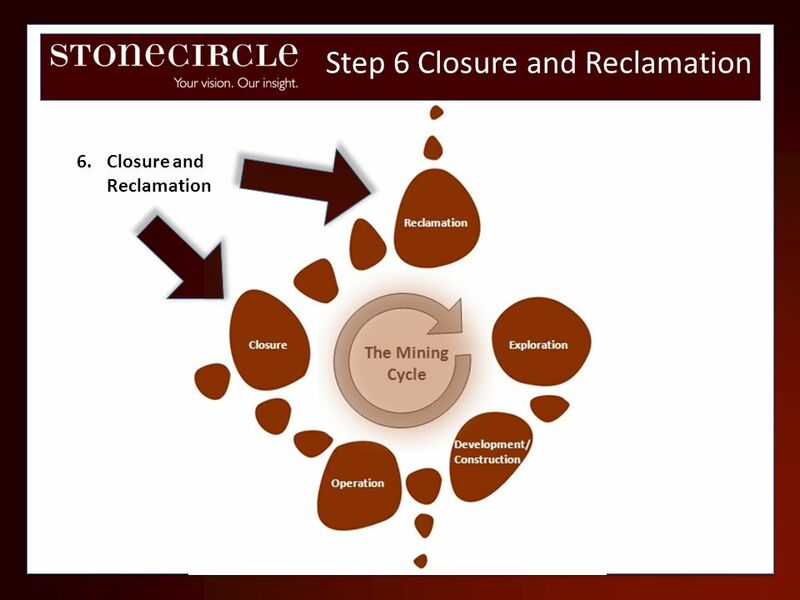 Aboriginal consultation must occur prior to submitting a Closure Plan. Closure Plan must include a record of Aboriginal consultation. 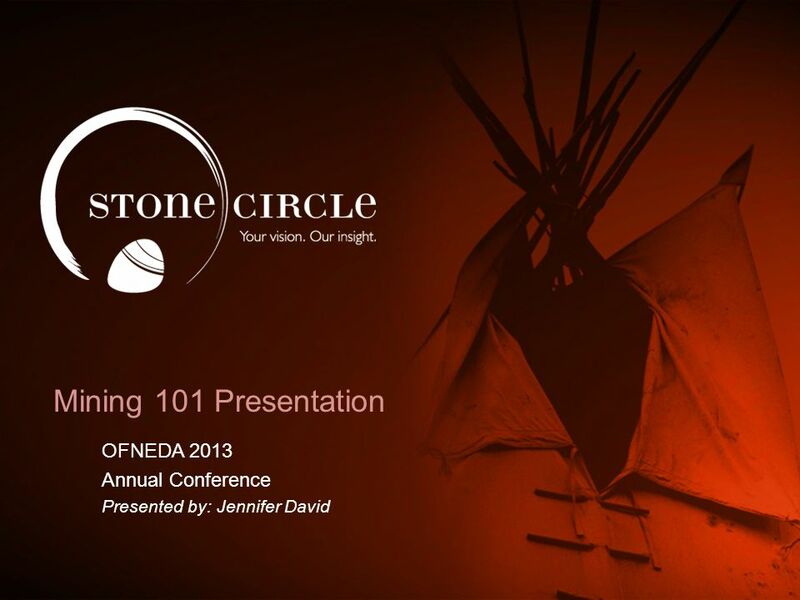 Download ppt "OFNEDA 2013 Annual Conference Presented by: Jennifer David"
GOLF COURSE HOSPITAL AGRICULTURE WILDLIFE HABITAT WETLANDS OPEN SPACE SCHOOL RECREATION HOUSING DEVELOPMENT WHAT DO ALL THESE PLACES HAVE IN COMMON? WEATHERING THE STORM Responding to the Capital Crisis in the mineral exploration industry Presentation to IGWG Finance & Taxation Committee March 6, 2013. Murray River Project Update Coal Forum October 2013. Drilling Gas Wells: Beginning to End. Seismic Exploration. Introduction to Metallic and Industrial Mineral Rights in Alberta Alberta Energy Coal & Mineral Development Unit, Alberta Energy. 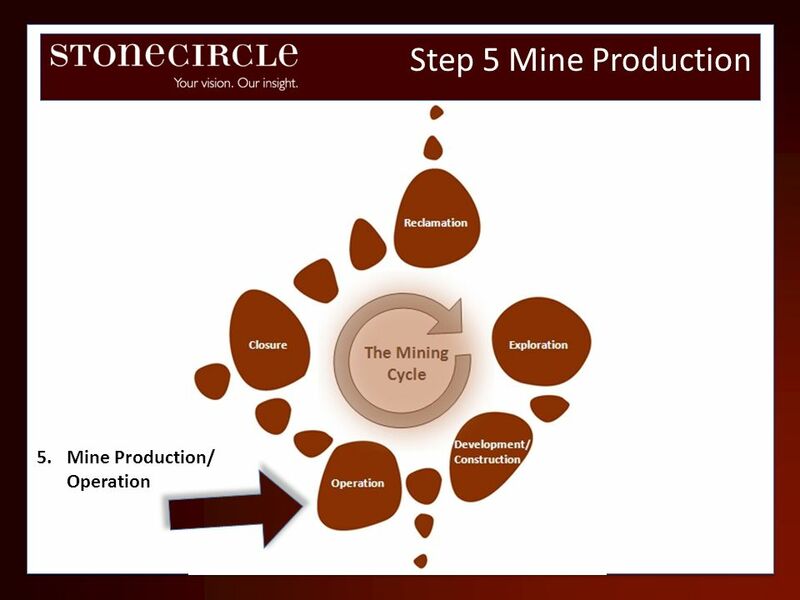 5.3 – 3 Mining. Canada is known for its mineral wealth. Three kinds are: 1.metallic mineral – a mineral that is a metal. (iron, nickel, copper) 2. non-metallic. 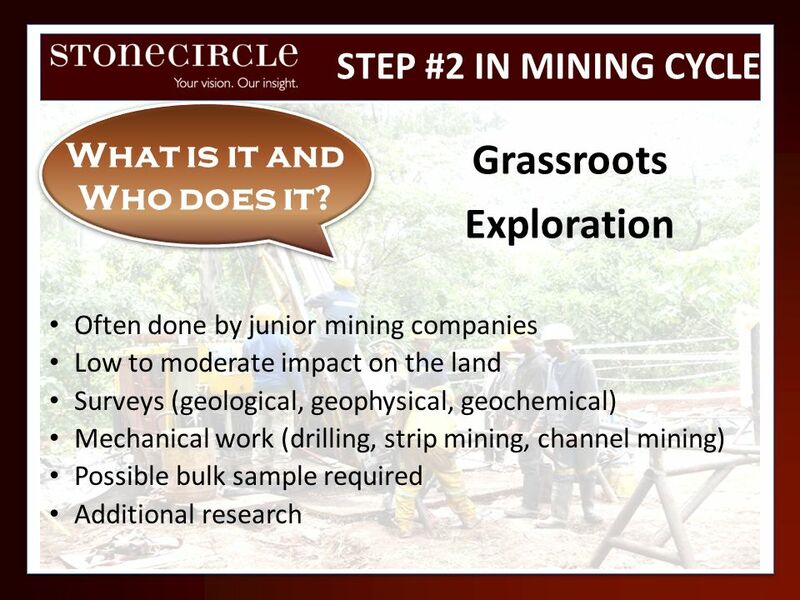 Successful Community Strategies for Engaging with Resource Extraction Companies P. Jerry Asp. 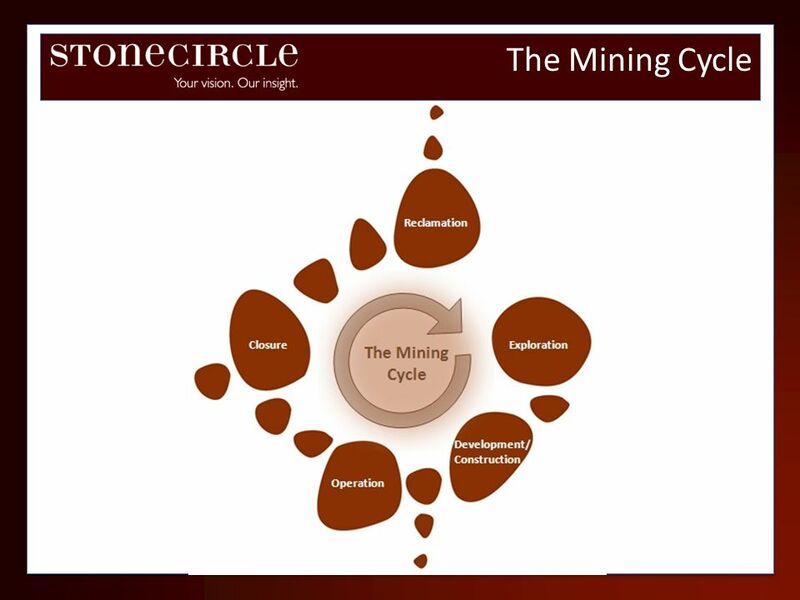 Getting At Our Wanted Minerals MINING. 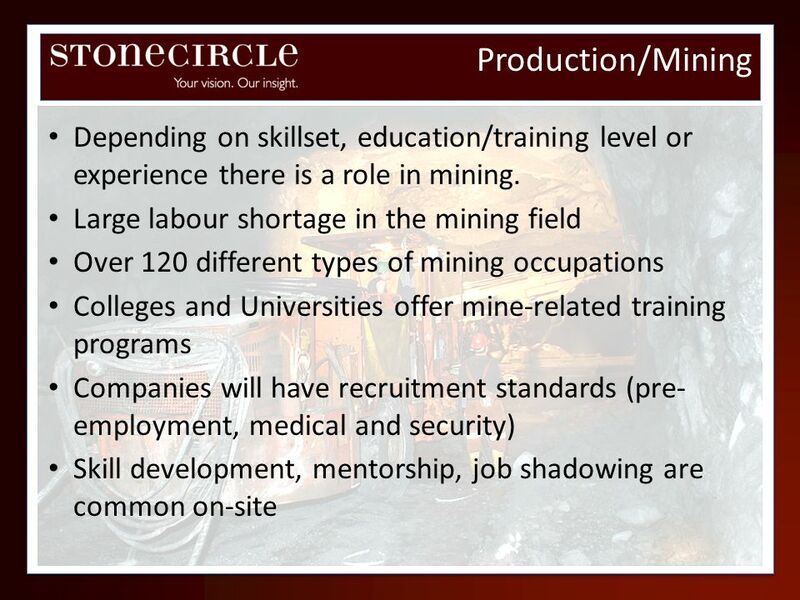 Steps to Mining 1. Prospecting For Minerals 2. 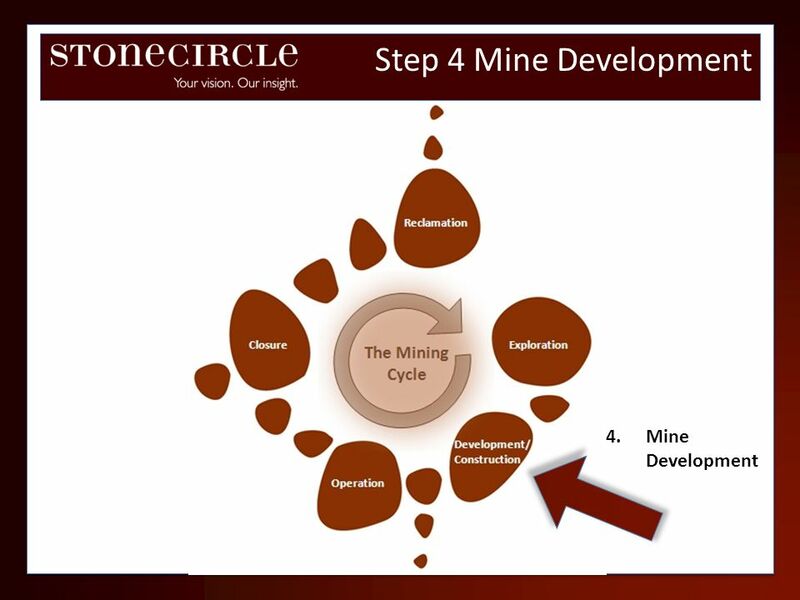 Developing the Mine. 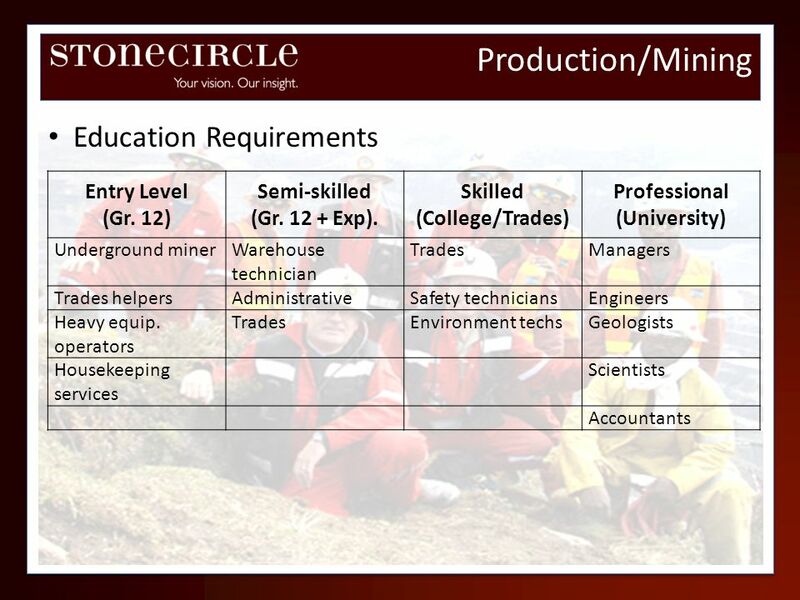 Mining Lease Application Assessment: Processes within the Minerals and Energy Division PIRSA. Government of Canada Policy on Radioactive Waste and Legacy Uranium Mines Tom Calvert Uranium and Radioactive Waste Division Natural Resources Canada May. NUNAVUT TUNNGAVIK INCORPORATED Lands Policy Advisory Committee Draft Uranium Policy. Career Research Power Point My Top Cluster  Health Science was my top cluster  My video link for this cluster is ( deos/CareerandClusterVideos/care.